More businesses need to upgrade their POS system. The ultimate goal of a POS system is to not only improve business operations but also customer experience. When things go wrong with these systems, like during the Target security breach that happened during the 2013 holiday shopping season, consumers get worried and look for a more secure option. Recently, NXP and Vision Critical conducted a survey of 1011 American adults. The goal was to ask about card security and EMV technology and find public opinion. The results show that 69 percent of respondents believe that chip-card technology is more secure than traditional systems. However, 63 percent said that they had no idea when their bank would be issuing that card. While it would seem like organizations should start adopting this technology as soon as possible, there was another, more surprising statistic. Sixty-four percent of respondents said that in the aftermath of a breach, they would start paying with cash because it was ultimately the most secure form of payment. “One of the surprises for us was that they would move more to using cash rather than cards if there’s a breach,” Brintha Koether, the segment director for payments at NXP, told eWeek in a recent interview. With more businesses acknowledging the benefits of upgrading point of sale computer systems, it is critical to know what consumers are looking for. 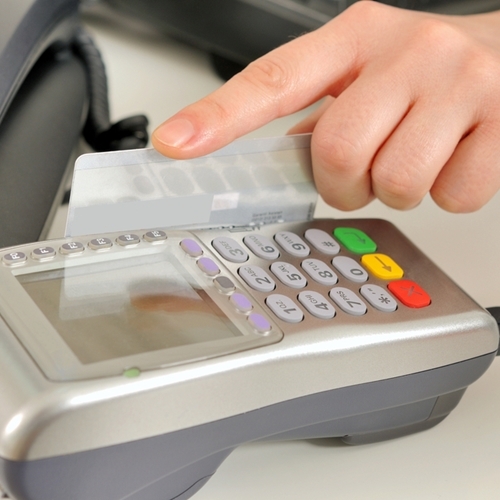 If a business is only interested in paying with an EMV card, but if your solution doesn’t accommodate that, you are going to lose out on a sale. By upgrading and having all of your bases covered, companies have the best opportunity help consumers. The most comprehensive POS system out there is the Visual Retail Plus suite of software, contact us today for more information about how we can help, contact us today for a free demo!